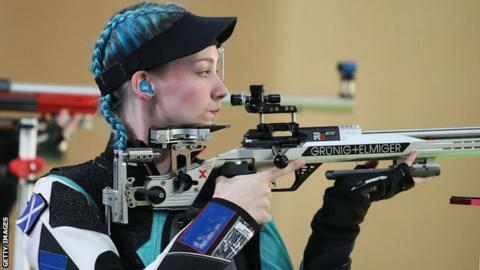 Great Britain have won team bronze in the women's 50m rifle prone at the World Shooting Championships in South Korea. Sisters Jennifer and Seonaid McIntosh and team-mate Zoe Bruce, who was making her debut in the competition, came third with 1850.6 points. Germany won gold with Denmark taking silver at the event in Changwon, which runs until Saturday, 15 September. The McIntosh siblings also have seven Commonwealth Games medals between them.